The multiplayer beta for Star Wars Battlefront 2 will begin Oct. 4, publisher Electronic Arts announced today. That’s the start date for people who pre-order the game. EA will open up the beta to everybody on Oct. 6, and it will run through Oct. 9. EA also provided some information on what will be playable in the beta. You’ll get to try out 40-person battles in Theed, the capital city of Naboo — yes, the prequels are taking center stage here. Playing as either the Separatist droid army or Republic clone troopers, you’ll have access to four classes: assault, heavy, officer and specialist. EA said that “beloved Star Wars heroes” will be available, too. The beta’s second mode, Starfighter Assault, sounds more interesting, but EA isn’t offering specifics yet. You’ll be able to partake in a massive space battle that takes place during the original Star Wars trilogy. 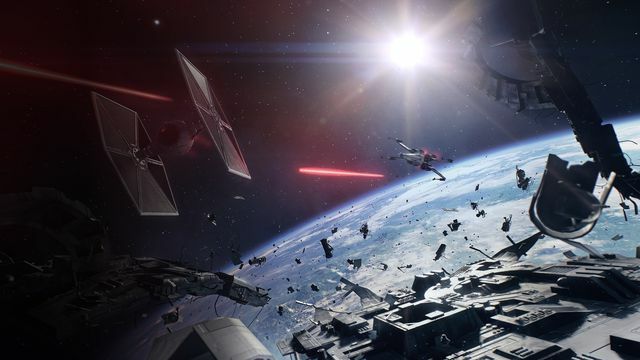 The mode will involve “piloting an assortment of Star Wars’ greatest ships in an objective-based, multi-stage battle,” EA said in a PlayStation Blog post. The company will fully reveal Starfighter Assault at Gamescom next month. Star Wars Battlefront 2 will also offer a single-player campaign, unlike its predecessor. For more on that mode, read our interview from April and watch our hands-on impressions from EA Play 2017 below. The Battlefront 2 beta will be available on all three platforms that the game is being developed on: PlayStation 4, Windows PC and Xbox One. The game itself is scheduled to launch Nov. 17.